REPACKAGED. 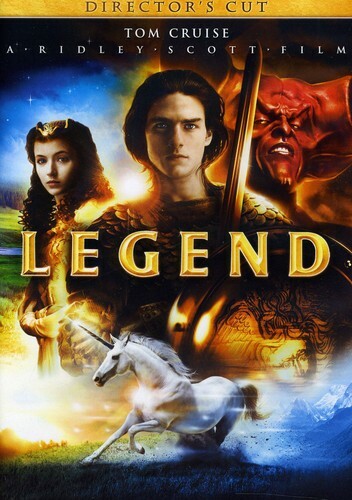 Set in a timeless mythical forest inhabited by fairies, goblins, unicorns and mortals, this fantastic story stars Tom Cruise as a mystical forest dweller, chosen by fate, to undertake a heroic quest. He must save the beautiful Princess Lily (Mia Sara) and defeat the demonic Lord of Darkness (Tim Curry) or the world will be plunged into a never-ending ice age.